Of course, it is always much easier to create a game on a story that had already proved to be accepted and loved by many. 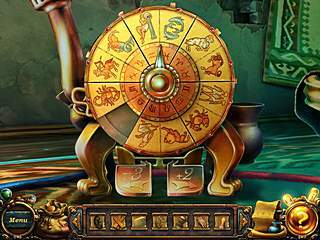 Alawar Entertainment used the old fairy in a hidden object adventure context. Oddly Enough - Pied Piper is bright, full of many puzzles and interesting characters. It is kind of unexpected that you play a debt collector who is not to find a way of how to get the money to pay the musician and rescue the children of these people. Following the old story you find yourself in a village plagued by rats. Rescue comes from a musician that is hired to lure the rats away. The villagers agree to pay the required amount of gold, but then they decide not to. But isn't it dangerous to take somebody who was smart enough to trick rats out of the village lightly? Well, anyway the flute-guy is not going to be cheated. It is kind of unexpected that you play a debt collector who is not to find a way of how to get the money to pay the musician and rescue the children of these people. The story might be familiar to many. The game has kind of an abrupt ending, but it is still fun to play. This whole fairy tale environment is very enjoyable to explore and be a part of. All the locations look very thought-through with many details that totally belong. You don't get lost in this game because you always know what to do from the tasks in your journal. 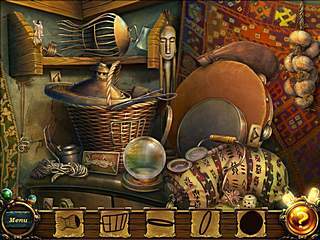 Adventure part of the genre takes a bigger portion of your time than the hidden object levels. The puzzles that you run into occasionally are quite easy, which is bad robbing the game of its potential beauty. The game should take you about three hours to finish. It is one of those games that just make you happy. Hello! efgakdf interesting efgakdf site! I'm really like it! Very, very efgakdf good! This is Oddly Enough - Pied Piper review. Download this game here.